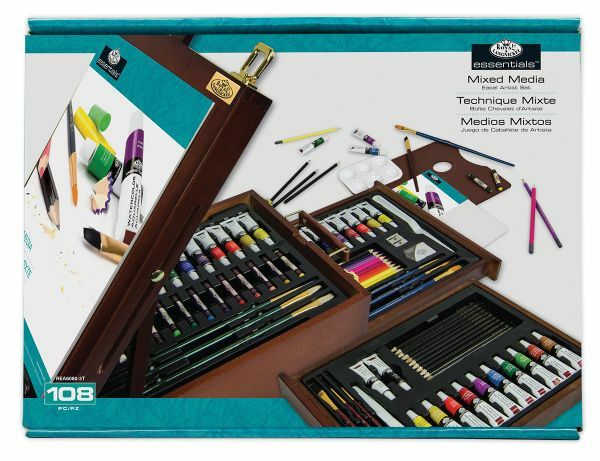 The All Media Artist Set contains a 108-piece collection of artist materials ideal for the beginner student or artist. * This set features a wide assortment of paints and paint brushes. * The storage chest converts into a sturdy table-top easel. 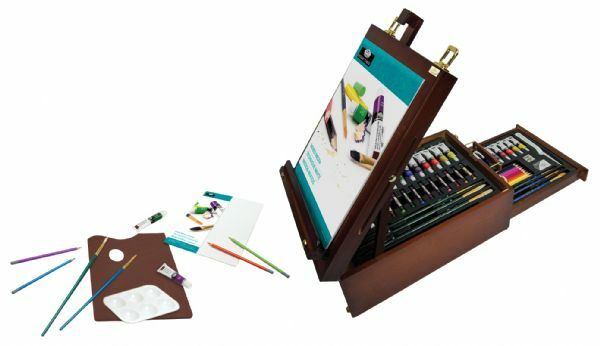 * The mast and holders for the easel assemble quickly and easily then simply remove and conveniently store in the chest when traveling. 17" x 14.4" x 6"